Tarry Hum is Professor and Chair of Queens College’s Department of Urban Studies. Hum’s research areas include immigrant urbanism, transnational capital and real estate financialization, urban planning, and community economic development. Her first book, Making a Global Immigrant Neighborhood: Brooklyn’s Sunset Park, received a 2015 Honorable Mention for the Association of Collegiate Schools of Planning’s Paul Davidoff Book Award. Hum continues to research urban manufacturing and industrial gentrification, and recent articles are published in Metropolitics and Progressive City. Hum contributes regularly to the online Gotham Gazette: The Place for New York Policy and Politics on real estate development and the affordable housing crisis in immigrant neighborhoods. Her forthcoming publications include a chapter on “Minority Banks, Homeownership, and Prospects for New York City’s Multi-Racial Immigrant Neighborhoods,” in the Joint Center for Housing Studies of Harvard University’s edited volume, A Shared Future: Fostering Communities of Inclusion in an Era of Inequality, and a co-edited Temple University Press volume on Immigrant Crossroads: Globalization, Incorporation, and Placemaking in Queens, NY. 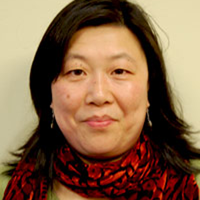 She is currently working on a book manuscript provisionally titled, “The Asian Century”: Chinese Transnational Capital and City Building in Immigrant New York.